All welding is performed by certified welders. We can also certify on any special requirements or processes you may have. We do arc welding, spot welding, TIG welding, stainless steel/aluminum welding, jig welding, fixture welding and production welding. In addition to piping we also offer fabricated piping supports, saddles, weldments, etc. with several options for finishing and coating. 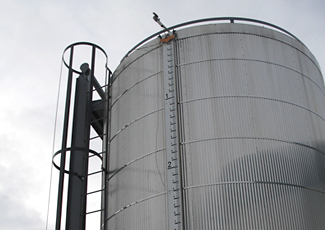 We offer fabricated equipment per customers design, such as skid mounted tanks, pumps, filtration systems, batching, weighing and measuring systems, and water treatment. We also fabricate lifting structures, support structures, pump and motor bases, and equipment bases. Contact us for a more comprehensive list of what we can do for you.